PATNA: Bihar reported poor voters’ turnout at the polling booths with little about 53 percent voters casting their votes in the first phase. However, one thing that has surprised everyone is the enthusiasm shown by the voters from the third gender in exercising their franchise. According to a report of the Election Commission, 76 percent transgender voters turned up at the polling booths to cast their votes in Bihar this time. 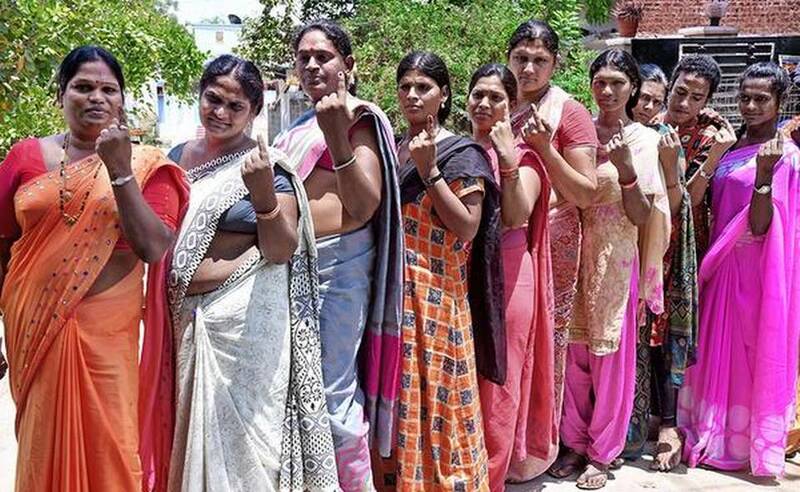 “360 of the total 516 transgender voters registered cast their votes in the first phase,” sources quoting Election Commission officials told the media on Sunday. The same enthusiasm, however, was not shown by transgender voters located in other parts of the country. In totality, only 17 percent voters from this community cast their votes in the first phase in India. As per the report of the Election Commission, only 1395 (17.94 percent) voters from this community out of their total 7,774 registered cast their votes in the first phase. Reports said none of the single transgender voters turned up at the polling booth to cast their votes in Jammu and Kashmir. Similarly, none out of five eunuchs participated in voting process in Sikkim and Mizoram while in Uttar Pradesh only 42 out of total 826 cast their votes. In Mumbai and Uttrakhand, the state election office had even declared eunuchs as brand ambassadors to encourage their participation in polling process yet they didn’t show interest in joining the voting process.